Hear that? That’s the sound of Wimbledon serving up another fortnight of smashing entertainment – and the BBC returning the ball at an equally impressive pace. For those who don’t like tennis, though, BBC iPlayer has a volley of shows and TV shows that will keep you glued to your chair like an umpire in a game between Isner and Mahut. There are missed shots, of course: The Interceptor is a cliche-ridden crime thriller, starring a solid O. T. Fagbenle, who tries to breathe life into the unsubtle cheesiness (Run D.M.C.’s It’s Like That plays over the top of a drugs killing in the opening minutes). But the tale of a maverick Customs officer who, damn it, always gets results – “I would sacrifice the big fish to get payback for my mate,” he insists – is so run-of-the-mill your feet practically feel exhausted after 30 minutes. SunTrap, meanwhile, a comedy starring Bradley Walsh and Kayvan Novak, is a sitcom that exists solely to allow Novak’s undercover investigator to parade a string of unfunny voices in a sea of lazy stereotypes. 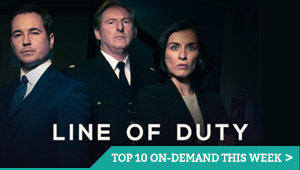 But from David Attenborough meeting President Obama to the promising start of a new Belgian thriller, the Beeb’s streaming service still has more than enough on offer to lob your expectations. “Americans really go in for birthdays,” says David Attenborough, in his delightfully humble way, after being flown to the White House for a meeting with President Barack Obama. Ostensibly an interview by Barack with the wildlife broadcasting legend, the 35-minute programme is a more casual chat, covering everything from David’s record-breaking dive on the Great Barrier Reef to the challenges facing the environment today. The greying Obama, who is on something of a roll at the moment, is as professorial as ever with his thoughtful questions, indicating that he is well aware of the need to raise awareness of global warming. 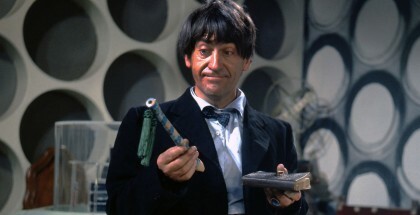 The fact that this drew 2.5 million viewers when broadcast on BBC One is proof that he’s succeeded at that. Watching Sir David get a surprise birthday cake is a bonus. The BBC’s coverage of Wimbledon is almost unrivalled in the world of televised sport. With a full line-up of matches available to watch live through the BBC Tennis site, the fact that most of them make it to BBC iPlayer in either highlights form, or as catch-up chunks of the BBC One/BBC Two broadcast, is a treat. 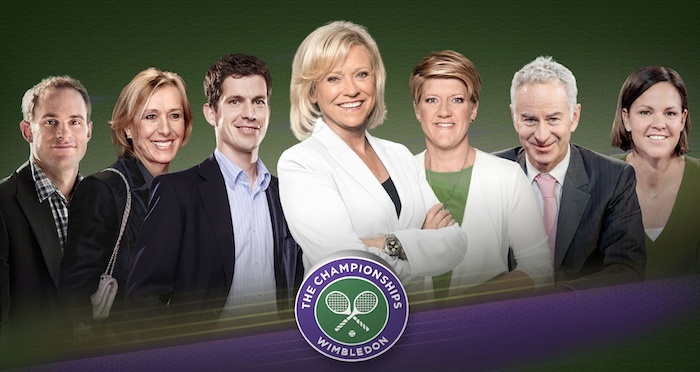 Just take care to avoid the early episodes of new show Wimbledon 2day, which sees Clare Balding attempting to serve up a Top Gear-style round-up of the day’s action – and mostly hitting the net. “Runny nose, coughing, swollen glands, slight fever…” There’s something about hearing familiar symptoms said in a foreign language that makes them all the more unsettling. BBC Four’s latest import, then, makes for a mildly creepy watch, as we see a contagion spread quickly through Antwerp – only for the authorities to (ahem) cordon off a quarter of the city to contain it. The opening episodes give us an introduction to the usual array of potential victims, from the immigrant who brings the disease into the port to the police and officials trying to battle the infection. The stand-outs, though, are strong-willed clever clogs Jana (Liesa Van deer Aa) and teacher Katja (Veerle Baetens), who takes her class for a fun day trip to the National Institute for Contagious Diseases. As you do. If patient zero turns out to be a metaphor for the dangers of illegal immigration, it’s impressively underplayed, while the location and language make for an effective change to the usual Scandi shows in this Saturday evening slot. You’ll be Google Translating your own common cold symptoms in no time. The BBC’s adaptation of Douglas Adams’ holistic detective are a couple of years old now, but looking back at the pilot and the following two episodes makes you appreciate just how well they capture the author’s free-wheeling, offbeat tone – a laid-back approach that may not be hysterical but keeps you smiling. Stephen Mangan is a perfect fit for the eponymous sleuth, who finds himself faced with such enjoyably silly challenges as true horoscopes, stolen robots and, erm, a plate of biscuits. Goes down perfectly with a cup of tea. With over 60 sets already available to stream and counting, iPlayer is where Glastonbury is at. 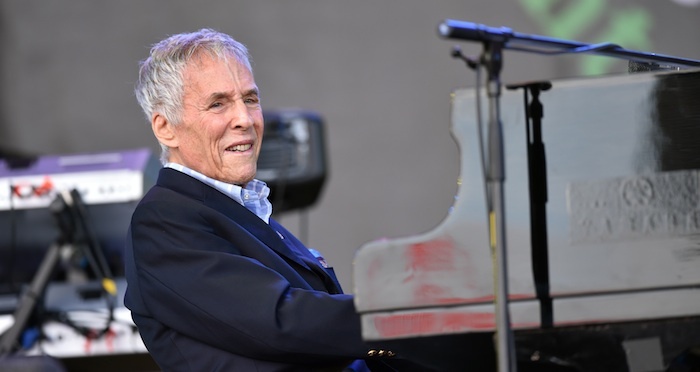 From Kanye West’s set on Saturday night to Burt Bacharach and Florence + The Machine, it’s all here – and it’s not going anywhere for another 30 days. Click here for the full line-up – or see our top Glastonbury highlights. “You gotta choose your words carefully,” says Amy Winehouse in this new documentary about the late singer. Produced by Sasha Duncan, the film spans just 23 minutes, a runtime that seems almost as slight as the singer’s tragically short career, before her death at the young age of 27. But in the shadow of the looming feature-length film, Amy Winehouse In Her Own Words benefits from that small scale. The title itself emphasises the project’s smart approach: with no talking heads to offer their version of events and no linear story, we simply get Winehouse’s take on her own situation, distilled into the brief times that she let her guard down. 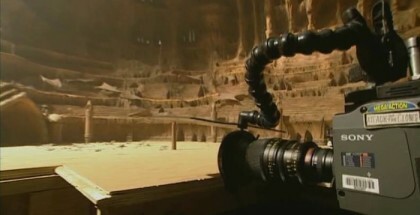 The film is threaded together from extracts of footage for the Jazz And Soul Britannia series on BBC Four, BBC One Sessions in 2007, Glastonbury 2004 and 2008, and the 2004 Mercury Music Prize, as well as intimate interviews. The result a short, but powerful piece of film-making that chooses its words carefully; less a biopic and more a moving, intimate portrayal of a supremely talented artist. Read our full review. Matt Berry proves once again that almost anything he says is funny, mostly because of the way he says it. After several excellent comedy shorts for BBC iPlayer, the IT Crowd and Garth Marenghi star now has his own series of short films titled “Matt Berry Does…”. After a profile of the Oxford vs. Cambridge boat race earlier in the year, he turns his anthropological gaze to Father’s Day, providing a history of parenthood that dates all the way back to our primate ancestors. Alongside the bizarre and silly turns this spoof documentary takes, not to mention the vaguely satirical swipes at the failed evolution of men, the highlight is simply Berry using the phrase “UK daddy”, something that he repeats over and over again. It doesn’t stop being funny. This is the second of six “Matt Berry Does…” specials. Roll on the other four. BBC iPlayer’s original content has always thrived on giving a platform to talent that might otherwise not be seen on the TV. These five comedy shorts combine that knack for showcasing comedians with an insight into the highs and lows of Muslim life, particularly the struggles faced during Ramadan. Sadia Azmat’s to-the-camera rant about misperceptions from people in the street delivers a wonderfully surreal flourish, while Tez Ilyas’ inner monologue of a fasting Muslim in an office smartly swerves between endearingly timid and amusing arse. Prince Abdi’s account of trying to fast is the highlight, though: a sharp, four-minute blast of conflicting perspectives and childish adult behaviour. It’s not the introduction that older viewers will be used to, but it’s immediately clear that the Beeb’s updated version of Oliver Postgate’s classic has no intention of rebooting the show for modern audiences. In a year where Gerry Anderson’s equally loved series was given a CGI makeover, new characters and a different back-story, The Clangers feels like the antithesis to ITV’s Thunderbirds. Palin’s avuncular tones are the perfect fit for The Clanger’s reassuring voice-over, which rejoices in the small details of our creatures’ lives. 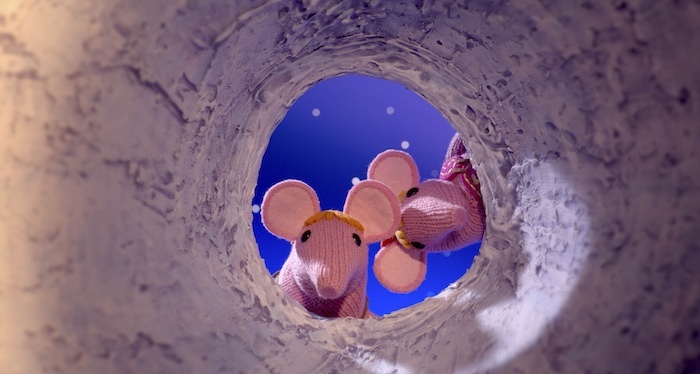 The result is something that feels as timeless as ever, because it doesn’t alter what made The Clangers special in the first place: its ability to present imagination as the most natural thing in the universe. Read our full review. 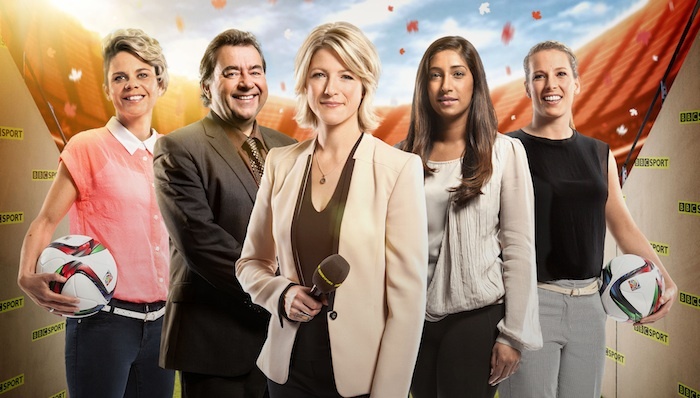 If you’re missing the Premier League, the Women’s World Cup in Canada hits the (penalty) spot, with all matches available to watch in full on BBC iPlayer live, as well as on catch-up following their broadcast. Best of all? An iPlayer-exclusive series of catch-up videos, which round up all the goals and updates in handy 10-minute chunks. Just the thing for those catching up ahead of the final tonight (Sunday 5th July). 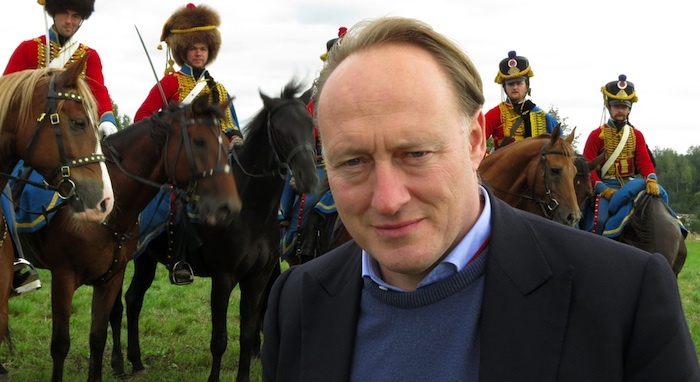 “It’s easy to get on one’s high horse about Napoleon’s looting…” says Andrew Roberts, before going on to list artworks stolen by the legendary French leader. The first of three documentaries charting Bonaparte’s rise from army officer to ruler, the historian’s determination to repaint the tyrant of textbooks as a sympathetic figure doesn’t convince, but some previously unseen private letters that offer personal insight into his love life and the on-location shoots in St Helena and Italy make this series worth checking out – if only to be surprised by just how much you dislike Napoleon. Christian Cooke stars as Stewart in this adaptation of Iain Banks’ story about a guy who goes back to his Scottish fishing home for the funeral of his best friend, Cal. His return, though, digs up all kinds of skeletons in the seaside closets, from Cal’s sister, Ellie, to whom he was engaged, to his dad, Don (Peter Mullan), the local big bad of the area. The mystery of what happened to Cal may not always grip and the romance is only just starting to kindle, but there are some good moments in this promising opening hour (there are two parts in total), from a shot of red high heels in a bathroom toilet and some nice background locations to a literally suspenseful finale. 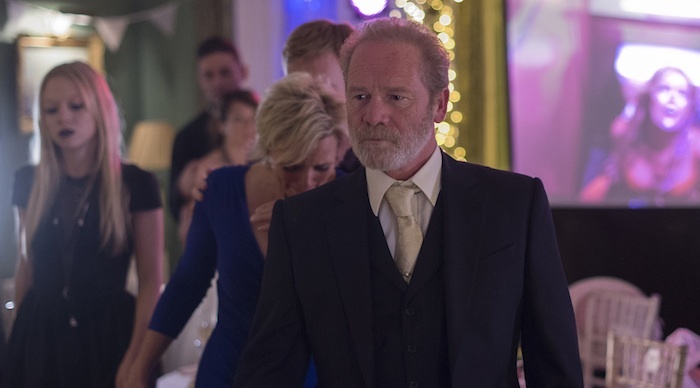 The cast, though, are the main reason to tune in, if only to see Peter Mullan intimidate everyone else on screen. Sean and Beverly’s Hollywood career refuses to die as they are dragged back from London to make six more episodes of Pucks! The sight of everyone’s miserable faces – and Matt LeBlanc’s ever-amusing take on himself (especially after losing half of his money) – is more than enough to keep the return of this sitcom a pleasant treat. A depressingly believable take on the incompetency of the entertainment business, which has developed its supporting characters enough to pull off a subplot devoted to Carol having to work with someone whose husband she slept with. 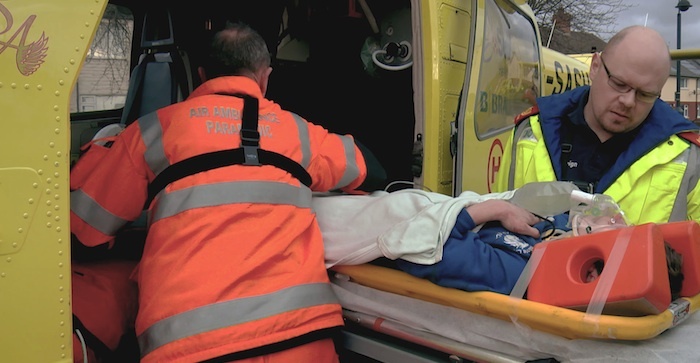 Earlier this year, Sky 1 brought us Critical, a medical drama that borrowed 24’s real-time premise to follow a team of surgeons trying to save emergency patients in the “Golden Hour” following their admission to hospital. Now, the BBC has responded with a second season of its own one-hour documentary about the same thing. Interviews with the doctors post-event provide welcome explanations of the procedures we’re watching – reminding us of the harsh reality that more than makes up for the lack of gory, fictionalised injuries. Sky’s show is sensational and gripping. These cases actually happened. 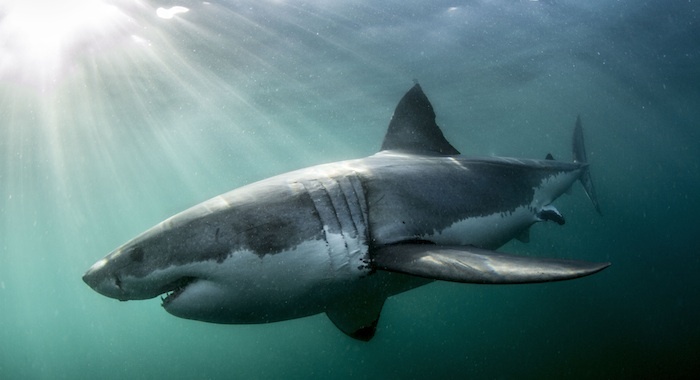 If the title of the BBC’s new nature series – simply “Shark” – doesn’t grab you by the teeth, the fact that it’s narrated by Paul McGann will have you falling for it hook, line and sink. Typically beautiful and full of fun names to repeat to your friends, this is Jawsome stuff. Everyone’s favourite floral bomber jacket wearer Mary Berry returns to our TV screens once again with this new cookery show. The recipes are inspired by her childhood memories – including one interlude showing how to make ice cream – but it’s her no-nonsense presenting that makes her so easy to watch. The odd candid shot of her attempting to lick the spoon between takes only cements her status as a national treasure. “Your shabby, slipped-stitch mistakes make you miraculous,” spits Vanessa Kisuule in a short poem urging women to stop shrinking back and to take up space. It’s one of countless brilliant lines you’ll hear during this series of short films, which see female poets tackle topics facing young people today. Cecilia Knapp’s explanation of why she writes is inspiring, Deanna Rodger’s look at those forced off the street is provocative, while Jemima Foxtrot’s double-performed examination of confidence and doubt is an entertaining and powerful reminder of the importance of self over surface. 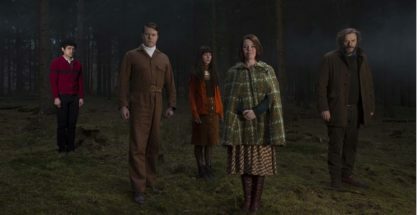 Each are excellent performers, leaving your tongue tripping back over syllables to savour their taste, but keep Megan Beech’s passionate cry for more women on our TV screens until last: after the previous four fantastic compositions, you’ll be hard pushed not to agree. Important and urgent, this collection shows just how valuable BBC iPlayer can be as a platform to voices that should be heard more often. BBC Three’s improvised murder mystery comedy sees DI Sleet joined by a variety of celebrity guest stars to solve a crime. In Episode 1, it’s Made in Chelsea’s Jamie Laing, who has to work out who shot restauranteur Bruno Tonioli. He finds himself surrounded by other celebrities – Alan carr, Taylor Swift – but these are played by impressionists. And so the chaos begins, throwing the unsuspecting sidekick into scenarios that increasingly ridiculous. The jokes are often on the disappointingly crude side, but as much fun as it is to see Tom Davis growl his way through over-the-top cliches, the real enjoyment lies in seeing Laing fail to keep a straight face. Is corpsing a mark of the hit-and-miss “script” failing or the production working? Either way, it’s absurdly high concept and unabashed silliness make this original idea exactly the kind of thing that BBC Three will hopefully continue to produce as it moves towards its online-only future. 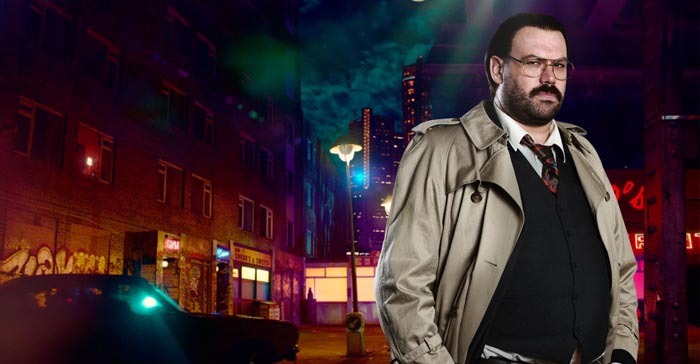 Call it Murder in Semi-Successville. Set in good ol’ Saff Laahndan, Treacle Jr. is the story of a man called Tom (a vegetarian who doesn’t believe in heaven) running away from his past. Trying to start anew down south, Tom (Tom Fisher) meets Aidan (Aidan Gillen), an Irish guy with a lisp, in A&E, after losing a fight with a tree. From there, a beautiful Shrek and Donkey style relationship unfolds. This low-budget Brit flick from director Jamie Thraves will have you on the edge of your seat, teasing your emotions from all sides. Martin Compton stars in Ken Loach’s modern British classic, which follows teenager Liam’s attempts to raise money to buy a home, after his mother gets out of prison. Bruce Willis stars in this enjoyably duff modern update of Frederick Forsyth’s 1971 novel. Willis plays the titular hit man, who is hired to kill someone in the US government – only for Richard Gere to try and stop him. Worth watching just to see what wigs he ends up wearing. “Master of disguise”, indeed. 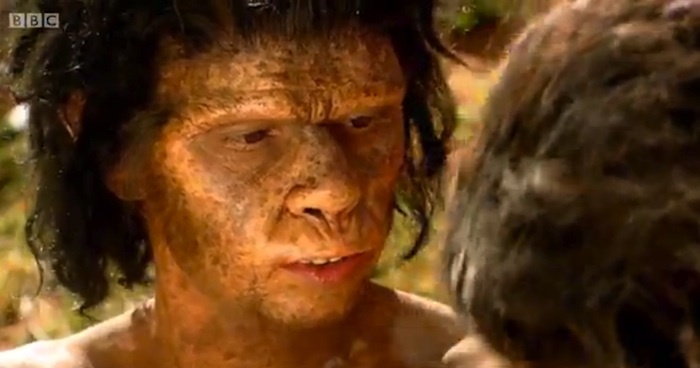 Paul Bettany plays Charles Darwin in this drama that follows the completion and publication of his theory of evolution – one that contravened his wife’s religious beliefs. Bettany is great, while his chemistry with an excellent Jennifer Connelly turns Darwin’s public controversy into a source of private conflict. An absorbing watch. It’s always worth catching a Hitchcock when it’s on TV and Suspicion is no exception. The thriller, which stars Joan Fontaine and Cary Grant as an heiress who is convinced her husband is trying to kill her was famously re-written for its leading man – an insight into not just Hollywood’s inherent sexism, but also the fact that Hitch was, despite his reputation, a director with a fondness of female characters to root for. Michelle Williams transforms herself completely for this tale of Marilyn Monroe and her affairs with a young assistant during the production of The Prince of the Showgirl. Kenneth Branagh’s Laurence Olivier is equally delightful, but amid the joyful hamminess sits Eddie Redmayne’s naive suitor, whose devotion makes this a charming watch. “Sometimes we can mistake anger for caring.” That’s sensible policeman Robert (Mark Strong) to worked-up copper Joe (Paul Bettany). And who can blame Joe for being tetchy? He’s got a lot to be worked up about. His father (Brian Cox) was a ball-busting police chief and now has Alzheimer’s. His younger brother, Chrissie (Stephen Graham), keeps cheating on his partner. And they’ve got a killer to find after a 12 year old girl is brutally murdered. If Blood sounds like a TV drama, that’s because it is – the script is based on 2004 series Conviction – but Paul Bettany easily fills up the screen’s extra inches. His gradually imploding man is one of the most intense roles of his career, a small-scale chance to tackle the big issues. 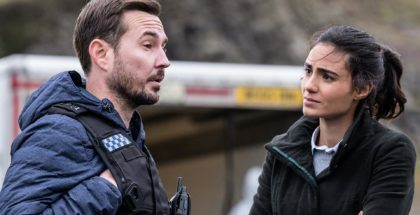 By sticking with his perspective, Nicky Murphy’s low-key thriller makes for a gripping examination of morals and police procedurals rather than a mere ITV clone. War films following aerial antics are a familiar site, but this 1932 movie, starring Richard Dix, Mary Astor, and Robert Armstrong, takes the unusual route of following WWI pilots, once they’re grounded after the war. Their career of choice? Stuntmen for a mad film director. Gael Garcia Bernal stars in this 2010 drama about two film-makers in Bolivia directing a feature about Christopher Columbus, only to become caught up in the local Cochabamba uprising against the privatisation of the water supply. Facebook introduces video ad revenue: The killer blow to YouTube?